The Office of Hawaiian Affairs violated the state Sunshine Law when trustees corresponded by telephone and email before sending a letter to U.S. Secretary of State John Kerry rescinding an earlier letter by Chief Executive Officer Kamanaopono Crabbe. Then the board violated the law again when it refused to allow public comment before conducting a closed-door session discussing Crabbe’s conduct. That’s the finding of the state Office of Information Practices in a Nov. 7 opinion responding to a complaint by six Hawaii residents. West Hawaii Today. President Obama will make a refueling stop at Joint Base Pearl Harbor-Hickam this weekend. Air Force One is expected to arrive early Sunday morning for just two hours, as the president's plane is refueled. Star-Advertiser. Campaign Spending Commission Rejects Rep. Calvin Say Challenge. A review finds that it's legal for the former Hawaii House speaker to use campaign funds to pay for his legal fees. Civil Beat. The National Center for Access to Justice released its Justice Index findings Thursday, and Hawaii ranks among the top five states in the country for “best practices of ensuring access to the civil and criminal justice systems.” Civil Beat. The State Department of Health can now test for cases of Ebola in Hawaii. A Pearl City laboratory has been approved by the CDC and the U.S. Department of Defense to test for the virus. KITV4. The Hawaii State Department of Health’s State Laboratories Division said Thursday that it can now test for the Ebola virus. Civil Beat. Millions of dollars come to Hawaii each year to help law enforcement bust drug organizations. But behind the scenes of a White-House-backed agency that controls the cash, there are money troubles and internal upheaval that may lead to legal action. KHON2. The Hawaii State Teachers Association is getting a new executive director. The union says Wilbert Holck is replacing Al Nagasako. Associated Press. Honolulu city officials say a cleanup of homeless encampments Thursday in Kakaako is not related to a "Hawaii Five-0" filming session this weekend. Star-Advertiser. Homeless Rousted from Kakaako as ‘Hawaii Five-0′ Readies Shoot. WATCH A SLIDESHOW: Officials say the latest operation wasn't prompted by TV show's car chase scene, but some of the homeless and advocates are skeptical. Civil Beat. Approximately 150 homeless people have been cleared from Kakaako encampments along Ohe and Ilalo Streets, and some believe a “Hawaii Five-0” shoot this weekend may be to blame. Hawaii News Now. Five days a week, city workers hit the streets to conduct sweeps on Honolulu sidewalks. It’s part of a controversial ordinance that went into effect last July, that allows officials to clear streets occupied by the homeless and their belongings. Hawaii Public Radio. 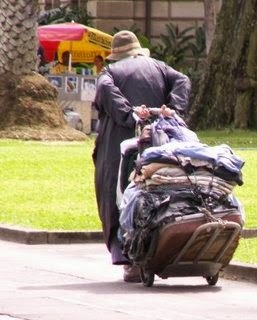 Honolulu’s homeless don’t usually die with dignity. Not only do they pass away at much younger ages than the rest of the population, but their demise is often the result of substance abuse, poor health or violence. Civil Beat. The Honolulu City Council may vote on a bill that would ban sitting and lying down on sidewalks in neighborhoods beyond Waikiki. The council plans to take up Bill 48 Friday at noon. They say public testimony is complete and no new testimony will be allowed. Hawaii News Now. The rail transit board Thursday authorized the payment of $48.4 million for change orders and other additional costs due to delays in the project. Dan Grabauskas, executive director of the Honolulu Authority for Rapid Transportation, told board members that the latest price changes bump the total amount attributable to project delays to $165,771,851. Star-Advertiser. It's unknown who will replace Lance Wilhelm, the man who's been responsible for overseeing Kiewit Hawaii's $556 million contract to build the first leg of the $5.16 billion Honolulu rail transit project since the company was awarded the work five years ago, after he leaves next month. Pacific Business News. Lawsuit alleges overly aggressive security officers at airport. KHON2. Kamehameha Schools and SunEdison Inc. got a green light from the state Land Use Commission on Thursday to establish what would be the state's biggest solar farm -- generating up to 115 megawatts -- on land in Waiawa previously approved for a master-planned residential community. Star-Advertiser. Alexander & Baldwin Inc. has earned its biggest return yet selling one of 30 Kahala Avenue residential properties it acquired from Japanese billionaire Genshiro Kawamoto last year. The Honolulu-based firm sold two adjacent vacant parcels that include 132 feet of beach frontage for $19.4 million Thursday, according to broker Coldwell Banker Pacific Properties. Star-Advertiser. It appears an invasive seaweed that has plagued the reefs of Kaneohe Bay for more than 30 years has finally met its match all quarter-million of them. The state Department of Land and Natural Resources recently put another 6,000 hatchery-raised sea urchins on selected reefs in the bay, bringing to roughly 250,000 the number of native collector sea urchins released so far in a program developed over the last decade. Star-Advertiser. The new governing board of Halau Lokahi Public Charter School will lay off all 18 employees at the financially strapped school at the end of this semester and then quickly rebuild a smaller staff that the school can afford. Star-Advertiser. Driving through Pahoa as lava continues to threaten the town became a little easier Thursday when police removed a roadblock where Post Office Road meets Highway 130. Tribune-Herald. The state Department of Health set up three air-quality monitoring stations to warn of potentially dangerous conditions as a result of the lava flow threatening Pahoa. Tribune-Herald. The front of the lava flow from Kilauea Volcano threatening Pahoa remained stalled Thursday as officials monitored active breakouts and air quality. Star-Advertiser. Biotech companies, including Monsanto, filed a lawsuit Thursday in U.S. District Court in Honolulu challenging the voter-approved Maui County initiative for a moratorium on genetically modified organisms. Maui News. A day after supporters of a Maui County moratorium on genetically engineered crops went to court in support of the new law, Monsanto struck back with its own lawsuit hoping to invalidate the voter-approved ordinance. Star-Advertiser. Two leading developers of genetically engineered corn have sued Maui County to stop a new law banning the cultivation of genetically modified organisms. Associated Press. Biotech companies Monsanto and Agrigenetics, an affiliate of Dow AgroSciences, have filed a lawsuit in federal court seeking to throw out Maui County’s recently passed moratorium on genetically modified farming. Civil Beat. All Maui County House representatives secured leadership positions for the 28th Legislature, which will convene Jan. 21. Maui News. County officials announced that repairs to the Kealia Beach parking lot will begin on Monday. The project will be done in phases to allow the public access to the areas of the parking lot that are not being worked on. Garden Island.